Lately it seems more and more people are looking for opportunities to embrace their psychic gifts and have begun using these gifts to assist others as professional psychics and spiritual counselors. The demand for alternative counseling and healing is higher than ever. This is awesome news for those who have decided to take a leap of faith and pursue careers as a spiritual advisor. As a professional spiritual advisor/teacher for over 16 years and the founder of The Mystical Moon, you could say that I am a pretty seasoned advisor and have learned a few things over the years. Assisting and holding space for another’s journey, healing and growth is a sacred and beautiful gift. However, there are a few things that you may not learn about through training in this field. I’d love to share some of the tips that I share with my students and with those whom I mentor. 1. 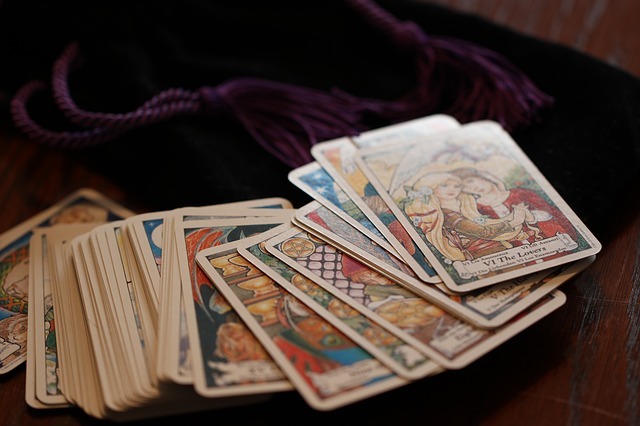 Practice Makes Perfect – The more you work with others, the more confident you will become with how the information comes to you as well as deciphering your own psychic language. When I first started out, I practiced on friends and family and then participated in apprentice psychic faires. The experience you gain from practice is priceless! You will find out which clients you would like to work with as well as which environment you feel most comfortable in. It may be in an office, over the phone and or working psychic faires and expos. Practice and experience will help you find your professional niche. 2. Don’t Compare Yourself With Other Readers/Healers – Everyone has psychic abilities. The way we receive this information is different for each and every person. For some they see pictures and movies, for others they see auras, and for some they may see those who have crossed over. Embrace your own unique psychic gifts and run with them! Appreciating another’s gifts without judging or doubting your own is a telltale sign that you are confident in your own abilities and that your negative ego is under control. By comparing yourself with another, you are setting yourself up for failure. You have your gifts and have worked very hard on them, now it’s time to share them with the world. 3. Keep Healthy Boundaries With Clients – This is a huge challenge for most professionals and it is the area where if you don’t keep healthy boundaries with clients that it will get you into trouble. What do I mean by trouble? You may get phone calls at all hours, you can become emotionally corded, you may take on their energy and or you may be taken advantage of financially. These are just a few of things that can happen when we do not set parameters with clients. I keep a professional relationship with my clients and have a strict policy that we do not have an outside of the office relationship. I do not answer emails or phone calls outside of business hours. These are just some examples and suggestions and they may vary for the individual. I strongly suggest keeping doctor/patient confidentiality and professionalism with all of your clients. 4. There Are Some Clients That You May Not Be To Read – This is a challenging one that many struggle with and do not realize that not all people are able to be read by you or anyone. There are many reasons for this such as; you aren’t able to make a connection with them, you may be tired or they may be tired, it’s not for their highest and best good for you to read them and or your guides may be protecting you from their energy. If within the first 5 minutes of a session you are unable to make a connection, it is always best to end the session. Many people do not realize or know this, but it is more harmful to keep going when the energy and information isn’t flowing. One of the dangers is that you may begin to doubt yourself because you are unable to make a connection. There are some situations where you are not supposed to read that person and that is totally ok. If you end a session within the first 5 minutes, do not charge the person and either schedule a future session or refer them to someone else. 5. Take Time For Yourself And Know Your Limits – Psychic work is and can be draining. You are working with people who are experiencing tragedy, pain, guilt, and heartache. This can be emotionally and energetically draining if you do not keep healthy boundaries and if you do not take care of yourself. Taking care of yourself means getting massages, taking time off, going for nature walks, eating healthy and learning how to detach from your sessions. Know your limits; how many sessions you can do in a day, week, month, etc. Overworking yourself can and will lead to burnout, exhaustion, a compromised immune system and not being able to make a clear connection with your higher guidance. Many worry that if they say no to clients that the clients will go to another practitioner. Could this happen? Well, it sure could but there are many people seeking help. There is more than enough to go around. Compromising your mental and physical well-being is not worth it. Taking care of yourself should be your number one priority. By following these 5 suggestions, you will be able to enjoy doing exactly what you love doing and you will be able to enjoy a long and prosperous career.